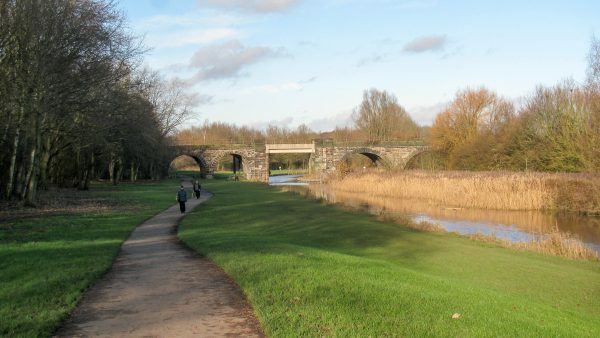 Known as the “Seven Arches” there are seven arches plus one flat span across the canal. There are suggestions that the flat span once lifted to allow masted vessels to pass through. The viaduct carries the Liverpool to Manchester (via Widnes and Warrington Central) railway line.